Open the door and unwind the hose ready for action! Help Fireman to the rescue by pushing Jupiter Fire Engine along on its free-moving wheels. Fireman Sam. Jupiter Fire Engine Push Along Vehicle. My Busy Book is an amusing storybook and inventive toy in one activity kit. Fireman Sam, Norman, Elvis, Dilys and Pilot Tom. Classic Fireman Sam styling. Fireman Sam - Children Decoration Mini Muffin Backing Set - Muffin Forms. The set includes: 30x Paper Muffin Shape in 2 different Fireman Sam Styles with Sam and his friends. 30x Paper Muffin Shape in 2 different Fireman Sam Styles with Sam and his friends. As photographed. 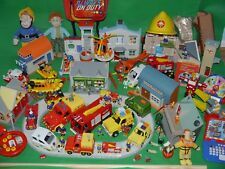 Please also see my other listings for Fireman Sam, buildings and Postman Pat and Bob the Builders figures, vehicles and buildings. Please see photo 2 and note Jupiter and Venus are missing the wing mirrors. Fireman Sam - Oxygen Mask Rescue Kit - Kids Firefighter. Before the brave Fireman Sam and his team get into burning buildings, each of them has to equip himself with his protective gear. Fireman Sam. Fireman Sam Fire Engine Jupiter With Ladder. With sound, only one blue light is working. No figures with this item. Condition is Used. Dispatched with Royal Mail 2nd Class. FIREMAN SAM. BOAT HOUSE. USED AND BOXED. MAY CONTAIN A MINOR MARK. 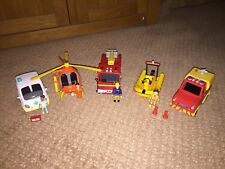 Fireman Sam - The Cast Mini Series Vehicle - Car Mountain Rescue 4x4. Fireman Sam. 1:64 scale. Peppa Wutz / Peppa Pig. Feuerwehrmann Sam. Barbie Film & Fernsehen. DC Super Hero Girls. Size vehicle approx. Fireman Sam. Jupiter Fire Engine. Friction Powered. This is a lovely,large, Fireman Sam soft cuddly toy. Little Buddy's Bargains. for UK Mainland only. Great toy gift for children, friends or yourself. Can be used as a decoration, collection or gift. Material: PVC Plastic. (1) It's defective or doesn't work. 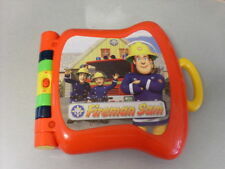 FIREMAN SAM INTERACTIVE BOOK. WITH SOUNDS. USED SO MAY CONTAIN A LIGHT MARK. Fireman Sam. Material: 100% Polyester. Feuerwehrmann Sam. DC Super Hero Girls. Die Peanuts. On the back, incorporated a small granular cushion. Cast Fahrzeuge 1:55. Take Along & Take n Play. FULL-PAGE ILLUSTRATIONS AND AN ENGAGING STORYBOOK. INVENTIVE TOY IN ONE ACTIVITY KIT. 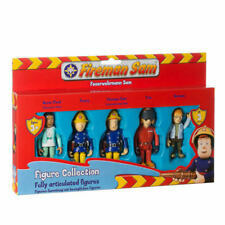 Perfect bring along buddies for Fireman Sam fans. Our product range includes kids toys such as the excellent Fireman Sam, Peppa Pig, Air Hogs, Spongebob, Scooby Doo, Ben & Holly, Mickey Mouse Clubhouse, Twirlywoos, Paw Patrol and many more! LODGE HAS 2 OPENING DOORS AND VERANDA LIFT UP FIRE BOARD. MOUNTAIN LODGE IS:- 9" LONG. Changes from Fireman Sam into Jupiter in under 10 easy moves. Includes Fireman Sam, Norman, Elvis, Dilys and Pilot Tom. Australian Body Care. Skincare Products Health. Wooden toys. Construction Toys. Character Toys. Arts and Crafts. Royal Creamware. Open the door and unwind the hose ready for action! 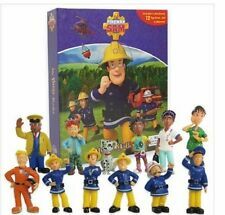 Includes; Fireman Sam, Norman, Elvis, Dilys and Pilot Tom. Fireman Sam, Norman, Elvis, Dilys and Pilot Tom. Classic Fireman Sam styling. You will receive one at random. Open the door and unwind the hose ready for action! 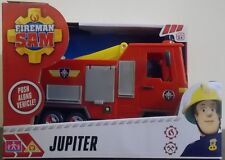 Fireman Sam Jupiter. Fireman Sam Friction Action Jupiter. Fire Man Sam Fire Engine. Articulated crane arm.